Almost a month after it announced its biggest acquisition, ONGC Videsh Ltd (OVL) is facing a roadblock. The company had planned to invest around $5 billion to acquire ConocoPhillips’ 8.4 per cent stake in Kazakhstan’s Kashagan field. But KazMunaiGaz National Co, the Kazakh state energy producer, has said it will decide within two months on acquiring a stake in the project that ConocoPhillips intends to sell to OVL. According to the Kazakh law, the government gets priority to buy any oil asset for sale in its territory. The government passed the law in 2005, before using the right to buy half of BG Group Plc’s stake in Kashagan. “The company is considering this question,” Malik Salimgereyev, managing director of Kazakh sovereign wealth fund, Samruk-Kazyna, told reporters in Astana, the country’s capital. Samruk-Kazyna owns the national energy producer. Bloomberg quoted KazMunaiGaz as saying that it would borrow internationally to fund the acquisition if it decided to exercise its rights to the stake. Sarraf added the first right of refusal available with the existing partners was 60 days and then another 180 days with the government to grant approval. After that, OVL would begin work on mobilising resources for the $5-billion deal to fructify. Other than KazMunaiGaz, Kashagan’s consortium partners are Eni, Total, Shell and ExxonMobil — each with 16.81 per cent stake, while ConocoPhillips has 8.40 per cent and Inpex 7.56 per cent participating interest. Last month, OVL said it had finalised definitive agreements for acquisition of ConocoPhillips’ 8.4 per cent participating interest in the North Caspian Sea production-sharing agreement that included Kashagan field. The deal is expected to be closed during the first half of next calendar year. NYSE-listed ConocoPhillips is the third-largest energy company in the US. OVL, with its 8.4 per cent stake, planned to get 315,000 tonnes of oil in the first year. The share would go up to 4.2 million tonnes a year in 2028 when all the three phases of the field have been fully developed. The acquisition would mark OVL’s entry into the largest oil-proven North Caspian Sea of Kazakhstan. The Kashagan field, located in the shallow waters of the Kazakh North Caspian Sea, is the world’s largest current development project. The stake buy would help OVL offset the drop in output from its assets in Syria and Sudan, which had brought its total output down by seven per cent in 2011-12. Considered the biggest find so far, the Caspian Sea field is expected to produce 370,000 barrels a day from next year. Developing the field would cost tens of billions of dollars, or more. If the deal does go through, it would be the second big-ticket acquisition for OVL after Imperial Energy, which it acquired for $2.1 billion in 2009. On November 26, Kazakh media reported that the US oil company ConocoPhillips was planning to sell its 8.4% stake in Kazakhstan’s Kashagan oil field on the Caspian Sea. In the context of continuously falling revenues (in the third quarter of 2012, ConocoPhillips lost about 14% of its profits, earning slightly over US$15 billion), its top managers decided to retrieve the money invested in a number of energy assets abroad. According to some estimates, such an operation would consist of the sale of $20 billion worth of assets the world over by the end of this year. India’s ONGC Videsh Ltd, which is part of the state-owned Oil and Natural Gas Corporation, was named as the potential buyer of ConocoPhillips’ stake in the largest oil field to be discovered during the last 30 to 50 years. Should this deal be successfully concluded between the two companies in early 2013, the Indian government might gain long-term access to Kazakhstan’s lucrative oil and gas industry for about $5 billion. On the following day, Kazakhstan’s Oil and Gas Minister Sauat Mynbayev, who has been closely involved in Kashagan-related negotiations for over five years, stated that the deal could not be considered definitive until it obtained the approval of a special state commission. Under Article 12 of the law on subsoil use, whose upgraded version was adopted by the parliament in June 2010, Kazakhstan’s government enjoys a pre-emptive right to acquire stakes in oil, gas and other mineral deposits. This article also provides the government specific purchasing privileges relative to other stakeholders, in order to “preserve and strengthen the resource and energy basis of the national economy”. Furthermore, even should the government abstain from declaring its intention to buy up ConocoPhillips’ stake, such an expression of interest is possible on behalf of other North Caspian Operating Company (NCOC) participants, including ExxonMobil, Royal Dutch Shell, Total, Eni and Inpex. The joint venture NCOC was created in 2008 and operates the Kashagan field as well as other energy resources. In early October, speaking at the KAZENERGY Association’s annual meeting, KazMunaiGaz (KMG) chairman Lyazzat Kiinov said his company might be interested in acquiring Conoco’s 8.4% share in Kashagan, in compliance with its growth strategy designed to make KMG one of the world’s 30 largest energy companies. In February 2012, Kazakhstan’s President Nursultan Nazarbayev already decided to unblock $4 billion from the National Fund for the purpose of supporting KMG’s commercial plans (the National Fund currently contains over $47 billion of reserve money collected from the oil and gas revenues). This gesture could be largely interpreted as an indication of Kazakhstan’s willingness to increase its participation in the Kashagan oil field, only a few years after KMG had already boosted its weight (in 2008, KMG increased its stake from 8.33% to 16.8%). In August 2012, it was reported that two of the NCOC members, ExxonMobil and Shell, were also seeking to increase their respective stakes as well as to extend the term of the production-sharing agreement for another 20 years. According to undisclosed sources working in the consortium, both companies were even ready to exit the project unless their demands were met by the Kazakhstani Government. While the purchase of ConocoPhillips’ stake is theoretically possible both for KMG and any of its Kashagan partners, either of these scenarios has serious drawbacks. Sergey Smirnov, an Almaty-based expert of the Institute of Political Solutions, believes that KazMunaiGaz would be unable to offer a competitive price, given its already wide-ranging portfolio of investments into various energy projects. According to Smirnov, even if KMG used the National Fund’s money to take over Conoco’s share, it would be hard pressed to bear the burden of additional expenditure related to the first phase of production. In May 2012, its cost was once again upgraded from $38 billion to $46.3 billion, while the initial estimates made by Italy’s Agip back in 2005 hardly amounted to $5 billion. As regards a potential bid from a Western stakeholder in Kashagan, it may be expected that neither of the consortium’s largest members would be glad to see any of its partners control as much as 25% in the NCOC. Therefore, the Western energy companies may collectively prefer to accept a new participant in the NCOC with a minor share. While ONGC’s deal with ConocoPhillips stills needs to be notified to the government of Kazakhstan and subjected to double approval – formally from the state authority and informally from the consortium – there is already also much speculation about the potential involvement of Chinese oil companies. In August 2012, Energy Intelligence Group reported that the China National Petroleum Corporation (CNPC) had hired the Hong Kong-based CITIC Resources Holdings Ltd to conduct talks with both ExxonMobil and Shell about the purchase of their respective shares in Kashagan in the name of the Chinese oil giant. Although neither of the Western companies earnestly considered a possibility of exiting Kashagan, it became clear that China was ready to pay for its right of entry. Kazakhstan-based energy expert Olzhas Baidildinov believes that the announcement of the ConocoPhillips-ONGC deal might only whet China’s appetite. Even though Kazakhstan may be interested in attracting India’s capital and thus diversifying its commercial relations, Beijing’s technical expertise in oil production still remains largely superior to that of New Delhi. Moreover, in the case of additional legal problems with Western oil companies, China’s CNPC could provide enough money to compensate for their eventual exit without compromising production. Currently, Kashagan is regarded as one of the most promising oil fields in the world. Its total oil reserves are estimated at 38 billion barrels or six billion tonnes, out of which 10 billion barrels are lying at levels directly accessible to contemporary drilling methods. Furthermore, this supergiant field may conceal up to one trillion cubic meters of natural gas. 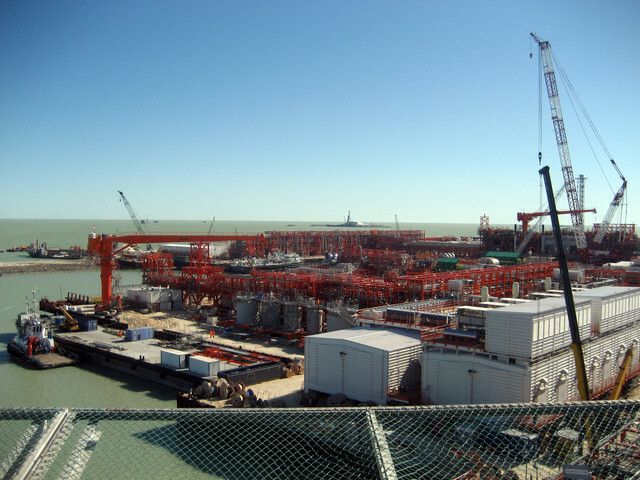 In late August 2012, CNN Money ranked Kashagan as the world’s most expensive energy project, worth around $116 billion. ConocoPhillips said it plans to sell its 8.4 per cent stake in Kazakhstan’s giant Kashagan oilfield to Oil and Natural Gas Corporation Ltd (ONGC) for about $5 billion as the Indian company looks to make up for flagging production. Kashagan, the world’s biggest oilfield discovery since 1968, holds an estimated 30 billion barrels of oil-in-place, of which 8-12 billion are potentially recoverable. First production from the field is expected in 2013. India, the world’s fourth-biggest oil importer, buys nearly 80 per cent of its oil needs as expanding refining capacity has outpaced local oil output. State-run ONGC’s local oil output has been almost stagnant for years. ConocoPhillips said the carrying value of the assets related to its Kashagan interest was about $5.5 billion as of Sept. 30. ONGC, India’s third-biggest company by market value, has been investing to maintain output from its old fields and has capital spending plans of around 340 billion Indian rupees ($6.12 billion) both this year and next. The company is under pressure from the government to meet rising demand. ONGC Videsh, the arm of ONGC that invests in overseas assets, said the acquisition would likely add 1 million tonnes (20,000 barrels per day) to its annual production over 25 years with the company’s share of output significantly higher in later stages of development. ONGC Videsh’s production in the year to March 31, 2012 was 8.7 million tonnes. Kazakhstan, home to 3 per cent of the world’s recoverable oil reserves and the largest former Soviet oil producer after Russia, has sought to revise deals struck with foreign energy companies in the lean post-Soviet years. It has already exceeded its target of asset sales worth $20 billion by the end of 2012, including the sale of its stake in Lukoil, Russia’s second-biggest oil producer. “(The) purchase price of $5 billion is at the high end of our prior expectation of $4 to $5 billion,” analysts at Simmons and Co wrote in a note to clients. Kazakh oil and gas minister Sauat Mynbayev last month disclosed ConocoPhillips’ plans to sell its stake in the field. The Kashagan field is jointly controlled by state-run KazMunaiGas and six international companies, including Eni Spa, ExxonMobil Corp, Royal Dutch Shell Plc , Total SA and Inpex Corp.
India’s largest oil explorer is attempting to revive a stalled overseas expansion plan by buying into a $46 billion project that’s eight years behind schedule and cost twice as much as expected. Oil & Natural Gas Corp. (ONGC) announced the company’s biggest overseas acquisition yesterday, the $5 billion purchase of ConocoPhillips (COP)’s 8.4 percent stake in Kazakhstan’s Kashagan project. Touted as the biggest find since the 1960s when it was discovered in 2000, the field beneath the Caspian Sea is expected to produce 370,000 barrels a day from next year. For ONGC, as the state-controlled producer is known, the deal signals an acceleration in overseas acquisitions as the New Delhi-based producer spends 11 trillion rupees ($198 billion) by 2030 to increase production at home and abroad. Deals slowed after completing the $2.2 billion purchase in 2009 of Imperial Energy Corp., a U.K. company with fields in Siberia where production started to decline quickly. The Kazakh government and project partners including Exxon Mobil Corp. (XOM) and Eni (ENI) SpA have the right of first refusal on the sale, according to yesterday’s statement. The Central Asian nation will consider buying Conoco’s stake and has two months to decide, Oil and Gas Minister Sauat Mynbayev said in the capital, Astana, today. After completing the first phase of the project, the Kazakh government and partners in Kashagan must decide on whether to expand the project to 1 million barrels a day, a commitment that would cost tens of billions of dollars. Drilling at the field is complicated by winter temperatures that freeze the Caspian and an oil reservoir that contains lethal gas. In September, ONGC agreed to spend $1 billion to buyHess Corp. (HES)’s 2.7 percent stake in Azerbaijan’s largest oil field and an associated pipeline. BP Plc, the operator of the Azeri- Chirag-Guneshli fields, has been criticized by the Azeri government for a faster-than-expected decline in production. ONGC scrapped a plan to revive production from Imperial’s fields just months after completing the purchase of the company because the fields didn’t perform as expected. The Indian company this year backed away from buying a 25 percent stake in a second Russian producer, OAO Bashneft, because they couldn’t agree on a price. China has been more aggressive than India in pursuing overseas oil and gas acquisitions as the world’s most populous nations look for oil fields to meet soaring energy demand. China’s Cnooc Ltd. (883) offered $17 billion for Canada’s Nexen Inc. this year. China Petrochemical Corp. bought Addax Petroleum, based in Canada and focused on Africa and the Middle East, in 2009 for $8.9 billion. By contrast, India’s biggest prize before yesterday’s deal was Imperial Energy. ONGC produced 8.75 million tons (about 175,000 barrels a day) overseas in the year ended in March. The company wants to produce 60 million tons by 2030 by investing in fields outside India. India consumed 3.5 million barrels of oil a day in 2011, up 3.9 percent from the previous year, according to BP Plc (BP/)’s Statistical Review of World Energy. Only the U.S., Japan and China consumed more. ConocoPhillips and ONGC Videsh expect to close the deal for a stake in the North Caspian Sea Production Sharing Agreement in the first half of next year, according to a statement yesterday. North Caspian Sea Operating Co. operates Kashagan. The partners include Eni, Exxon Mobil, KazMunaiGaz, Shell and Total SA (FP), each with 16.8 percent, according to ConocoPhillips’ website. Japan’s Inpex Corp. (1605) has 7.6 percent. BG Group Plc agreed in 2003 to sell its 16.7 percent stake in the project to China Petrochemical Group and Cnooc for $1.23 billion. Total, Exxon, Shell, Conoco, Eni and Kazakhstan’s national oil company countered that agreement by exercising rights to buy the holding on a pro-rata basis. That deal was completed in 2005. The budget for the first phase may almost double to $46 billion by the time oil is exported, a person with knowledge of the matter said in January. An early cost estimate put the tab at about $24 billion and the first production was originally expected in 2004. Russian issuers are considering a public flotation not as a way to raise money, but as a method of getting market valuation of businesses and advancing them to a new level. Russian participants of the stock market in Kazakhstan are interested in resources, kapital.kz reports citing the Eurasian Development Bank. Kazakh financial institutions are interested in the Russian market, primarily, as a mechanism to attract financial resources. Russian businesses, in turn, consider Kazakhstan’s market as a ‘bridge’ that allows access to the extraction and exploitation of natural resources of Kazakhstan. While a significant part of polled Kazakh organizations are interested in floating their securities on the Russian market, Russian companies are not willing to do so for the time being. Russia’s leading independent media company, and The Walt Disney Company CIS have announced the signing of a new two-year agreement to broadcast the films and animated content of The Walt Disney Company CIS (“Disney”) via Channel 31, one of the largest players on the television market in Kazakhstan. The agreement marks yet another step in the continuation of the successful cooperation between the two companies, which began in 2008. Under the terms of the agreement, Channel 31 receives the rights to broadcast 140 Disney movies and full-length animation titles, around 20 animated series and children’s video game TV shows, as well as the latest “Funniest Home Videos” episodes. The deal also includes the following ABC television series: “Revenge”, “Once Upon A Time”, “The River” and “Missing”. Based in Almaty, Kazakhstan’s Channel 31 was launched in April 1992. On March 31, 2008, the network and content of Channel 31 were re-launched under a new entertainment format: Channel 31 and CTC Media concluded an agreement in 2008 to create a new holding – the Channel 31 group of companies. The Channel 31 network currently comprises its own documentary and entertainment programs, Hollywood blockbusters, as well as TV series and shows from some of the most popular production companies around the world. More detailed information about Channel 31 can be found here: http://www.31.kz. The Walt Disney Company CIS, a subsidiary of The Walt Disney Company, was founded in April 2006. Marina Zhigalova-Ozkan is the CEO of The Walt Disney Company CIS. In Russia and the CIS, the company’s business activities include: film production and distribution, stage productions, licensed DVD and Blu-ray™ sales, the production and distribution of TV content, the Disney channel, consumer product licensing – clothes, toys, children’s products, stationary, food products, cosmetics etc., licensing publications – book and children’s magazines, the production and distribution of mobile and internet content, computer and console game development and distribution, as well as producing and publishing social networking games. More information about the company can be found at http://www.disney.ru and http://www.waltdisney.ru. The Walt Disney Company (TWDC) (NYSE:DIS), a world leader in the entertainment industry, was founded by Walt Disney in 1923. Disney is one of the top ten most valuable brands in the world. The company’s revenue amounted to U.S. $40.8 billion in 2011. TWDC operates in 172 countries and has 1,300 radio and TV stations, broadcasting in 53 languages. TWDC is one of the world’s largest licensors and the largest publishers of children’s literature. Disney is the leading distributor of video, DVD and Blu-ray™ content in Europe and Latin America. TWDC’s content archive comprises over 3,000 films. TWDC owns a variety of companies including Pixar, Marvel, ABC-International Television, ESPN, TouchStone and others. Russian mining company Polymetal International has lost its battle with the Kazakhstan authorities and will now face a USD14m corporation tax bill together with an additional fine which will increase the total amount due to approximately USD19m. According to Polymetal, the dispute “reflected varying opinions of the Group and the tax authorities” on the tax deductibility of non-cash foreign exchange losses and of transportation, treatment and refining charges. Polymetal says that it is reviewing its legal options and may challenge the tax authority’s decision. Polymetal warned that it has not set aside any provision for the fine in its financial statements for the period up to June 30, 2012, and that the fine will be incorporated into financial statements for FY2012.